Grass cutting is undoubtedly one of the must-do activities that make the garden look healthy and well-maintained. However, like any other gardening task, taking care of the grass requires you to set aside some free time and run the mower instead of performing favourite activities you never find time for. If you are looking for a one-off grass cutting service or you need a team of experienced gardeners to be in charge of the garden maintenance, contact us and discuss your project with our call centre supporters. They will provide you with plenty of information about each and every service we offer. 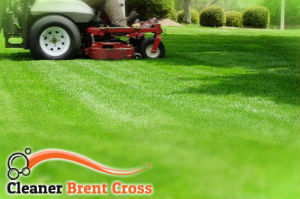 Speaking of the grass cutting, you can rely on the efficiency and professionalism we are popular for in Brent Cross, NW4 and the neighbouring districts seven days a week. We know that there are no identical areas of land in the NW4 area, so we adopt different approaches during every grass cutting procedure in order to ensure the grass is cut at a proper height and the risk of a damage is minimized. 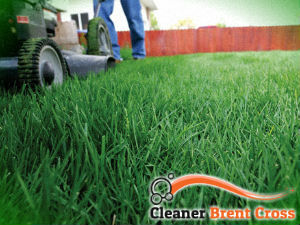 There is no need to sign a bunch of paperwork in order to book a grass trimming service with us. You can do that from the comfort of your home by calling our friendly consultants. They are at your disposal at any time. Contrary to a popular belief, professional gardening services and grass cutting in particular, are no longer unacceptably priced. If you reside in Brent Cross, you can rely on our professionals to help you out at any time. They have a flexible working schedule that enables them to deliver grass cutting services before or after the working hours of your commercial property.